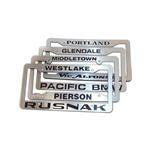 Custom license plate frames are a bargain automotive gift that will be seen by thousands of drivers on the road. 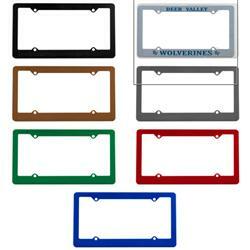 Slim and thick plastic license plate frames custom imprinted with your promotional logo. Need four holes? Two holes? Thin top? Thin Bottom? Silk screen license frames? Three Dimensional frames? Call the experts at 888-332-ADCO let us email you the options necessary for your particular promotional auto plate needs! 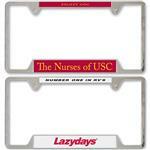 Other license plate frame styles available - please inquire. Please ask for template and we can help with your art on these. 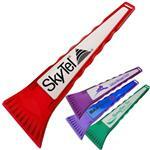 Production Times Available: 5 Day Standard Production.